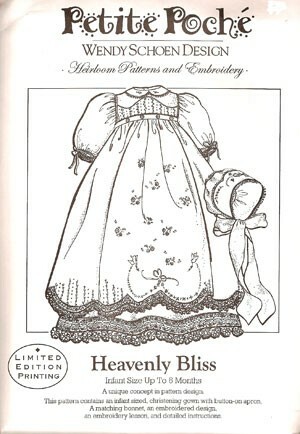 Beautiful christening ensemble featuring a semi-long length undergown w/a matching button-on apron. Apron is embellished w/lace shaped scallops & surface embroidery. A tie sash & buttons at the waist & allows the apron to be removed after the ceremony if desired.